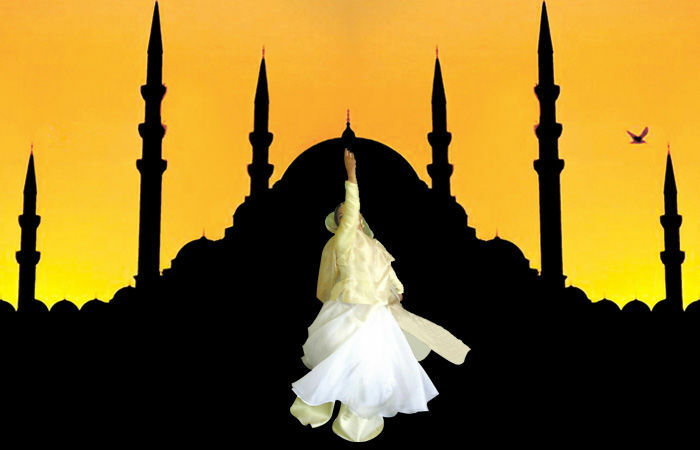 The most creative, enthralling, divine and internationally acclaimed Sufi dance performance is based on Islamic verses, Sufi poetry, Qawwalis, Indo-Persian Ghazals and Punjabi & Rajasthan Sufi Folk Music. AAMAD has presented Sufi dance performances in National & International festival across the world and it is highly acclaimed by art connoisseurs and media through worldwide as a best Sufi Dance Group in India. Sufi Dance Group is lead by Rani Khanam, who is the only Indian Muslim classical dancer of note, takes the daring step of dancing to Islamic verses and famous sufi dancer in India. This ground breaking repertoire of Sufi dance performances are completely divine in nature, Kathak (Lucknow style-influenced by Persian culture) which came in the medieval period is a base of this production. The ultimate aim of the dance production is to unite the audience with the divine and lead them towards the still point of the turning world with their unique performances. One can witness use of divine forces in the movements which elevates to the different mystic spiritual plane. The compositions evolved through the years with exploration, research, understanding and collaboration with the legends of Sufi across the Islamic world. A full range of emotions and rhythmic dynamics creates energy and strength in this performance, which is designed to hold the attention of a traditional and modern audience as well.